Now, don’t worry, I’m not going to turn this into the Beer, Whiskey, and Tequila Brothers. This is a one time thing and I’m really glad I did it. Let me start out by saying that I am by no means an expert on Tequila. I think I’ve had two different kinds of Tequila in my life, Jose Cuervo, and the Espolon Blanco and Reposado I had last night. The Espolon as you can see comes in two different varieties, clear and not so clear. I couldn’t tell you the difference between what makes one golden brown and one clear, but I can tell you it makes a difference in the flavor. Both of these tequilas were 80 proof or 40% ABV. Both were made from 100% Agave, which (I’ve been told) is the sign of a good tequila, i.e. no blending. I made two different drinks with the tequila. With the Blanco I made my wife’s favorite a strawberry margarita, and with the Reposado I made my favorite a traditional margarita on the rocks. Let me start by saying both were very good. For the strawberry margarita I had some strawberry lime mixer, I added fresh strawberries from our garden that we had frozen from last year, crushed ice, and the Blanco. I blended these margaritas as that is my wife’s favorite. The Blanco adds really good tequila flavor with a bite on the back side. Very good, and perfect for a warm evening with the Fajitas we made for dinner. 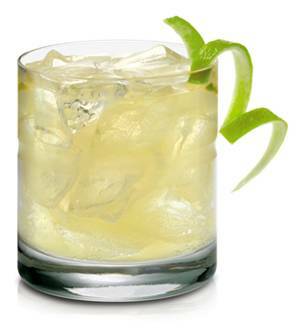 The bite this tequila has, made it perfect for this application as it was able to fight its way through all the ingredients to establish itself as a central part of the drink. Not easy to do since my wife likes her drinks on the weak side. So for a whole blender full I probably used about 3-4 ounces of tequila. The Reposado was quite a bit smoother, but had outstanding tequila flavor. I made the traditional rocks margarita with this, and it was fantastic. Probably one of the best rocks margaritas I’ve ever had, and I made it myself, which is doubly surprising. I actually made myself three in total, because I loved the flavor so much. It not only had great tequila flavor, but it was bigger than the Blanco, but at the same time smoother and well rounded. No bite here, and that suited me just fine. I drank this while smoking a Cuvee No.151 Maduro cigar, and the combination transported me to Cuba hanging out with the Rat Pack. All that was missing were the guns (My wife played the role of the hot women quite well). Like I said, I am no tequila expert, but I will buy these tequilas again. It was a great time and was interesting to compare the two types of tequila side by side. How about you? Did you celebrate with any special drinks or brews last night? Let us know in the comments. It’s not Seis De Mayo Don! This is like posting your Christmas list on December 26th! Whatever Jim. I had to drink it on Cinco de Mayo, so the review goes up on Seis de Mayo. Logical methinks. The moment is totally passed, bro. This post should have been up a few days before the holiday, not the day after. That’s like posting great Irish drink ideas on March 18th. We will agree…yet again…to disagree. Kathy says that its ok if I’m late…Because that is how I roll! Both are excelent tequilas. I personally love tequila and epsolon is a great value. You can get a bottle for about 25 bucks and its delicious. The Repasado is an aged tequila and it gets its color from the barrel it is aged in. The different “grades” of tequila are blanco, repasaso, and anjeo. Depends on how long they are aged and in what type of barrel. The price goes up with each one and usually they have more flavor but are smoother the older they are. Thanks Ryan, Like I said I’m no expert by far, but I did find the Reposado to be very rounded and more mature flavor wise. I didn’t know about the barrel aging, but Jim and I always say stuff that spends time in a barrel is better, so this proves our point yet again. Thanks for chiming in. I hear you there. I didn’t really have that much, maybe 5 or 6 ounces of the tequila over a 3 or 4 hour period, and I am a bit bleary today. The one and only time I drank Espolon was with my policeman friend (off duty, of course) who let me put his badge on. And when some crappy song came on, he threatened to go to his car to get his gun and shoot the jukebox. Everyone in the bar was 90% sure he was kidding, but that 10% made for some hilariously intense moments waiting to see what he’d do. Oh, and also, he made a bet with the bartender that she couldn’t make his next drink with her hands cuffed behind her back. She won the bet. I think her prize for winning the bet was getting the handcuffs taken off. It was a wacky evening, to say the least. You know Tequila has a rep for a reason. My wife had one weak margarita, and was acting goofy as hell. I would also be lying if I said it didn’t have a pretty big impact on me too. I could drink that much whiskey and perform brain surgery, but the tequila really took it out of me, and I felt much more inebriated than the amount of alcohol would have suggested. It takes a very special occasion for me to drink tequila. I might do it once a year, and more often than not it’s once every two or three years. Do you not like it? Or do you revere it so much that only the most special of occasions will elicit the endorphens that kick in the tequila desire? I’ve just had too many bad experiences with it when I was in college. 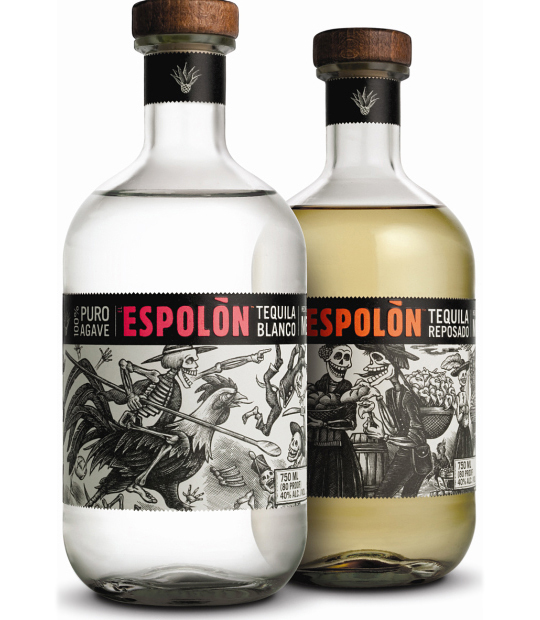 There are definitely some higher quality tequilas out there (Espolon being one of them that I’ve had) but it’s a market I don’t feel the need to explore. It is to liquor as musicals are to movie genres. I don’t care to have them often and I always feel shame the day after I consume them. Remember my Makers Mark connection who got me the Derby Ticket. He got “restructured” and is no longer there. Now he works for Epsolon. My father-in-law is a tequila lover. He has many bottles of high-end tequila and it’s meant for sipping if you ask him. I despise tequila, but the high-end stuff is mighty fine in small amounts. I’ve never sipped it. I’ve always either had it in Margaritas or done shots, but not since College for the shots. I recommend trying something that ties Beer, Whiskey and Tequila all together. It’s from New Holland, makers of both craft beer and spirits, and it’s called Hatter Royale Hopquila – It’s essentially a fermented wash of 100% barley which is then steeped with Centennial hops. The result is a tasty spirit that tastes like Tequila, but incredibly smooth. I picked some up a few months ago after reading about it on line, and have been really enjoying it. We saw that David when New Holland sent us some of their whiskey. I’d be very interested to try it. I wonder how they get the Tequila flavor without using Agave? I had to take a vacation from tequila…it lasted from 1987 to 2001. I used to mix cheap stuff with grapefruit juice while tailgating at Spartan games and ended up doing some crazy things. I’m more mature now and don’t drink such large quantities. I could see where it would cause some strange behavior. I only had like 5 or 6 ounces and it hits hard. If large amounts were consumed I would guess strange antics would ensue. Hola Don and Happy Cinco de Mayo (late)! Once upon a booze I was almost strictly a single malt fan (still love a nice, peaty Islay scotch). Never was much of a tequila guy but on the first night of one of my many visits to Scottsdale, AZ, I understood that I didn’t like tequila simply because i hadn’t had good tequila. While my wife was doing wifely things in the room I picked up a cpy of the resort’s monthly magazine and read a piece on small batch tequilas. Intrigued, I ordered one later that night – a Partida Reposado, neat. Took it outside and sat by a fire pit in the courtyard by a large saguaro cactus and had a sip….then another….then, WOAH… this stuff is great! Since that day (in 2006) I’ve been a confirmed craft beer AND tequila geek. I generally prefer balncos (silvers) or reposados because the floral notes and spiciness of the agave shines best in those styles. I find the anejos (always more expensive) to be nice but the oak notes tend to overpower the agave. If I want those flavors I’ll go to a scotch. My favorites are Partida, Milagro, Cabo Wabo & Cazadores. Takes me back to the Sonoran Desert every time. Kinda sounds like a similar story for me and single malts. I am slowly coming back into the fold where those are concerned. Thanks for floating out some of the names of the better stuff. I definitely know we have Cabo Wabo, because I looked for it, so I might give that a try. Afterall we all need to support aging rockers, right? I think I am a Reposado man myself. For me that was an amazing combination of flavor and smoothness that hit it off with me. Glad I know a bit more about it now. At least enough to go explore a little more. Have a great weekend. Blew me away when I first had a Cabo Wabo Anejo. Cabo Wabo used to be a client of ours. Fun doing “research” for that client! I love sipping on small batch Anejos neat from a brandy snifter. I don’t do it enough, though. As someone stated before, Blancos are not barrel aged. Repesados are aged for a few months. I think and Anejos for around a year. Don, I highly recommend sipping a few small batch Anejos if you’re ever in the mood. Looks like you are not the only one who has hard “research” to do now. Anejos here I come.